Global can provide all of your heavy and industrial construction needs. Our turnkey solutions include Mechanical & Civil Construction, On-Site Field Services / Nested Maintenance, Fabrication, Railroad Track Work and more. We’re equipped and highly trained to tackle the logistics and any bulk loading project you need. Our team operates packaging machines, fork trucks, tractor trucks and track mobile to spot and load cars and much more. We have a large inventory of cranes, earthmoving, construction, industrial and heavy equipment available for rent. We provide rentals on term lengths that fit your needs, ranging from daily, weekly, monthly to yearly. 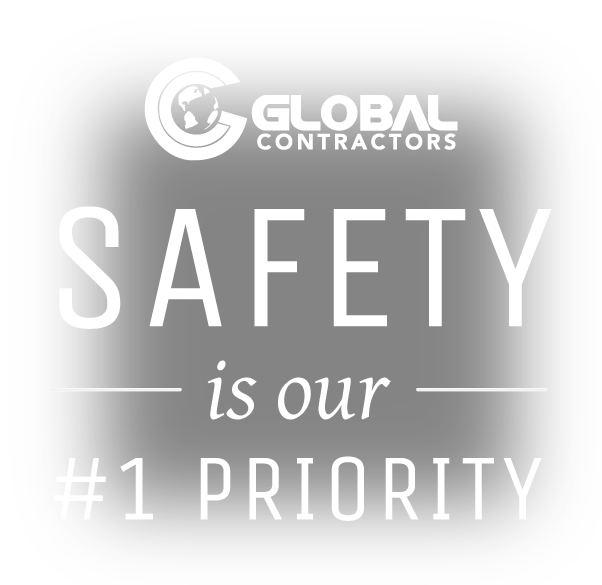 At Global Contractors, LLC we’re committed to being the best. That means developing turnkey solutions to solve the challenges that industrial facilities face and, more importantly, solving those challenges safely. Our core values are safety, accountability, excellence and respect and these values are the cornerstones of our services. We are successful because we listen to our clients and that allows us to excel in delivering the results they want every time. Our goal is to build a better tomorrow for our industry. Each day we get closer to that goal by adopting and adapting to new safety trends and regulations as we continue to set the benchmark for safety in our industry. At Global, we thrive in the complex and rapidly changing industrial facilities of our clients due to our many years of experience. Global excels because we follow the proper procedures when executing a project. We certify all workers with safety training and provide them with the equipment they need to do the job properly. The workers comply with all safety regulations and program operations to ensure everything gets done the correct way, every time. We take the time to listen to our clients and the problems they are experiencing so we can provide them with the comprehensive solutions they need. Then we go further and create proactive innovative plans and systems that allow our clients to avoid problems in the future. We put our clients first every day and make a point of providing the best solutions for them at all times. At Global we make proactive plans for our clients so they are not locked into reactionary responses. Call us today, and we’ll create a cutting edge solution tailored to fit your industrial facility.